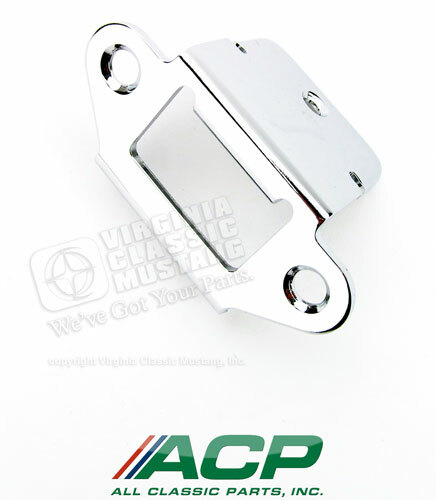 1967-70 Mustang Fastback Rear Seat Latch Catch. This is the part that the rear seat latches catches into. Chrome plated metal like the original.